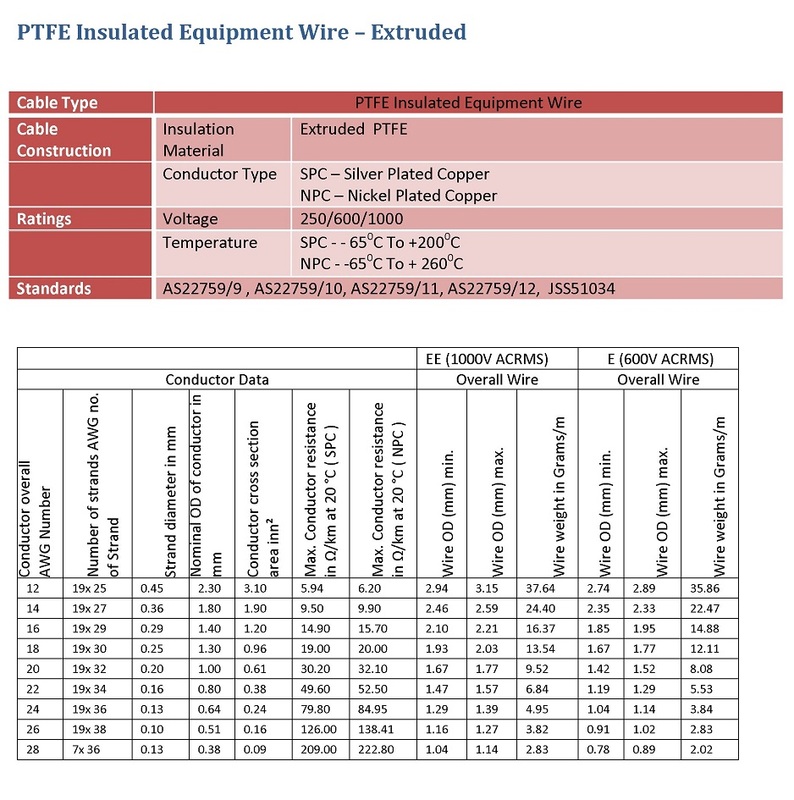 PTFE Equipment Wires:: PTFE Equipment Wires Manufacturers,Equipment Wires Suppliers & Exporters :: Garg Associates Pvt Ltd.
GAPL designs and manufactures a wide variety of standard and custom PTFE Insulated Hook-up/Equipment Wires. Based on the requirements, PTFE Insulation can be provided in TAPE WRAPPED SINTERED (TWS) and EXTRUDED PTFE. All the standard wires manufactured as per the popular military standards. 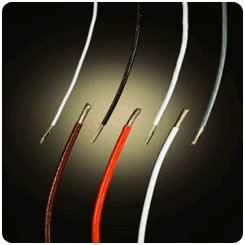 In addition to standard wires we offer wide range of custom wires (e.g. AWG 36 100 Volts wire) which can be designed according to the requirement. 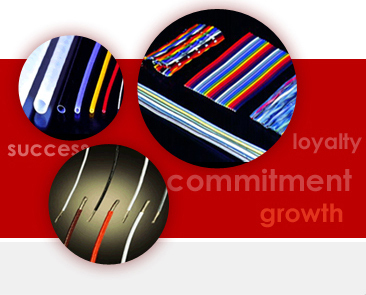 Please contact us for custom wire requirements. Inert to practically all chemicals even at elevated temperatures. Excellent thermal stability suitable for use from -200°C to +260°C. Suitable for very wide frequency range (DC to above 10,000 MHz) over wide? 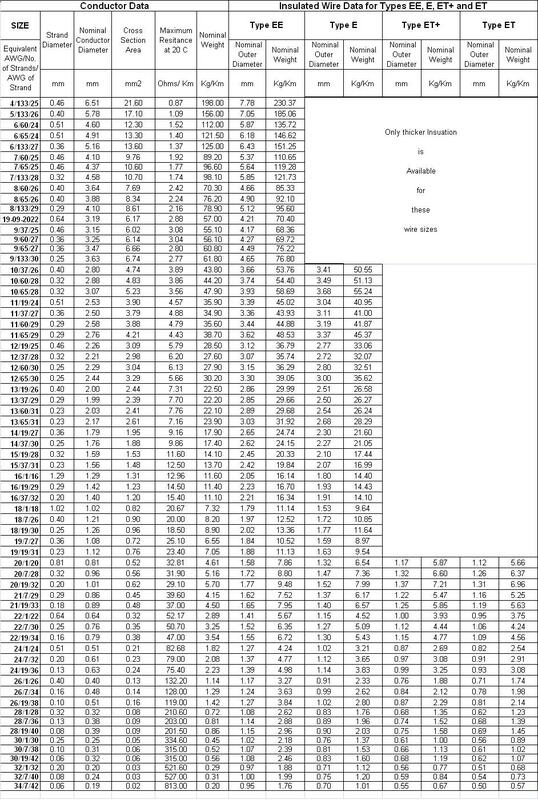 temperature range. Corona Resistance is fair (CR PTFE is available for severe corona? conditions). Smaller size, lighter weight and much higher reliability. 100% Physical and Electrical testing. Surface as good as extruded wire without the disadvantages of extruded PTFE? insulation in fine-gauge thin-wall types.